Captain J. N. Bachman Civil War Muster Roll, Sixtieth TN Regiment, 1863. Sullivan County Manuscript Collection 0029. The collection was secured from Tony Marion by Shelia Steele Hunt through the Friends of the Sullivan County Archives in August 2007. Shelia Steele Hunt processed the collection and developed the finding aid in August 2007. Captain J. N. Bachman Civil War Muster Roll, Sixtieth TN Regiment, 1863. MSS 0029, Archives and History Division, Sullivan County Department of Archives and Tourism, Blountville, Tennessee. 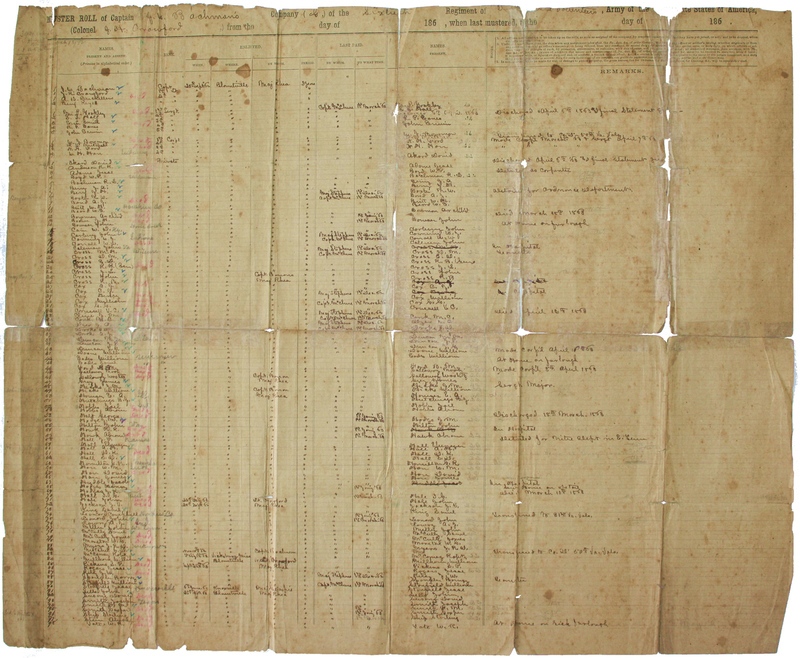 Civil War Muster Roll of Captain J. N. Bachman's Company, Sixtieth Tennessee Regiment. Document includes approximately 100 names of those present and absent, rank, enlistment data (when, where, by whom, period), last paid information, names of those present, and remarks. It is important to note that the remarks column contains, in some cases, information such as discharge date, date of death, transfer information, whether hospitalized, wounded, etc. Surnames include Bachman, Crawford, Buckellew, Keys, Yoakley, Davis, Erwin, Bowman, Mitchell, Akard, Anderson, Adams, Boyd, Bachman, Berry, Baxter, Bond, Britt, Beard, Booher, Bowser, Cain, Carberry, Carmony, Carroll, Coleman, Cross, Cox, Russell, Cline, Conk, Dyer, Droke, Duncan, Doane, Eades, Ford, Galloway, Grey, Hicks, Houser, Hutchings [Hutchins], Hobbs, Holt, Hodge, Hilton, Hawk, Hall, Hamilton, Harr, Huddle, Hodges, Hall, Hale, Jackson, King, Leonard, Melear, McCully, Myers, McKamey, Millhorn, Pickens, Rogers, Pile, Spangler, Stanfield, Sells, Susong, Smith, Ship, Stern, Tate. 1. 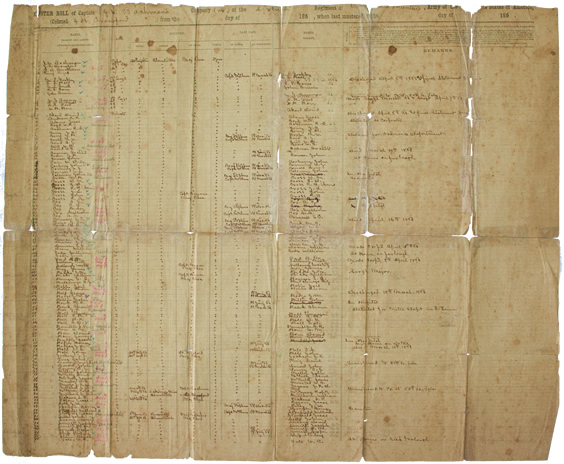 Captain J. N. Bachman Civil War Muster Roll, Sixtieth TN Regiment, 1863.